A book is more than paper and glue. It’s transportation to another world, it’s information, and it’s food for the soul. If you’re anything like me, you can never have enough. This often leads to stacks of books overtaking areas of the house. And, as the digital age has infiltrated the book world, the book hoarding has moved to phones, computers, and tablets. So what do you do with all the stacks of books laying around the house? Well, there’s nothing more aesthetically pleasing than a book. So, if you are a fan of unique or eclectic decor, you’ll love these 10 book-themed decorating ideas for every area of the house. 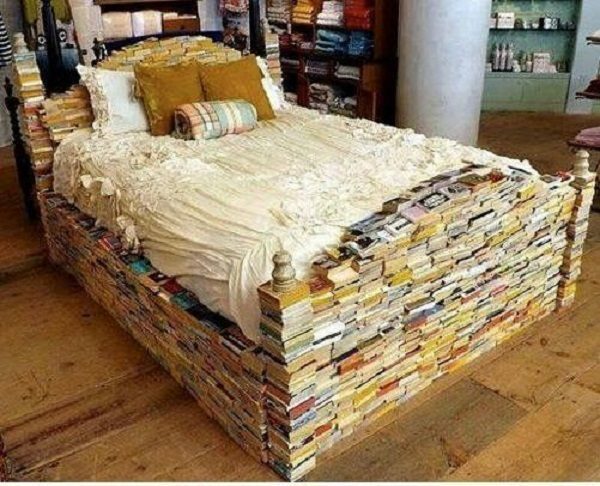 I’ve seen sheets and bedspreads that have excerpts from books printed on them, but I’ve never seen an entire bed made from books. I love this shabby chic look! This bookshelf chair idea from diyready is a handy way to keep books close by. 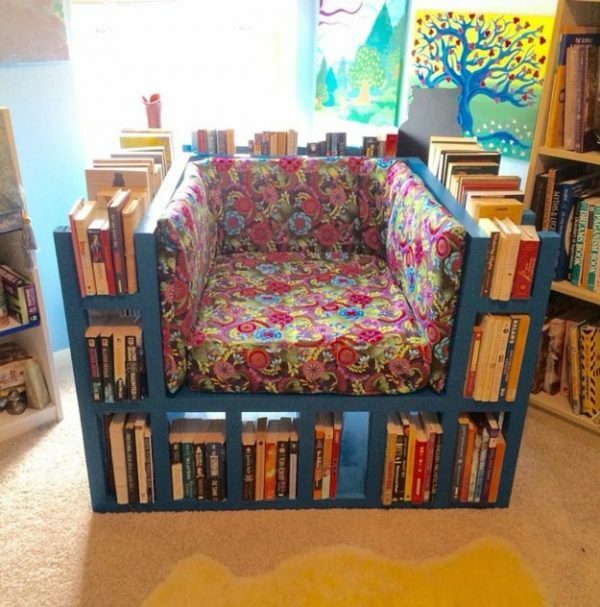 Perfect for a reading nook! 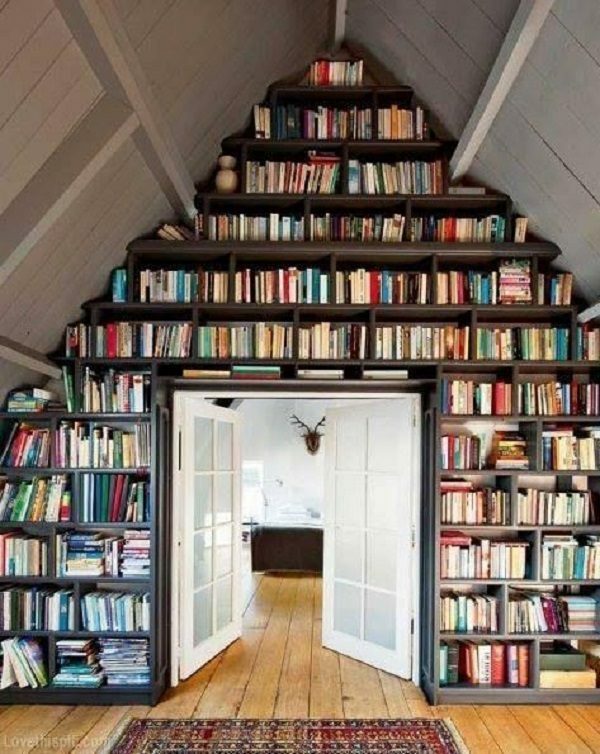 This whimsical wall of books doesn’t even need to be shelved. 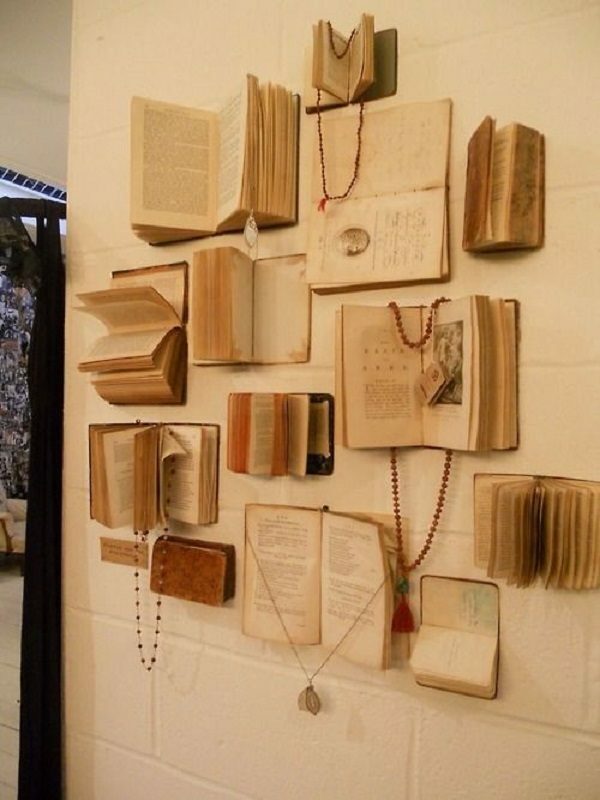 This Deco book wall would look great with frames or without and would be a fantastic conversation piece. Antique books are a classically stylish look. 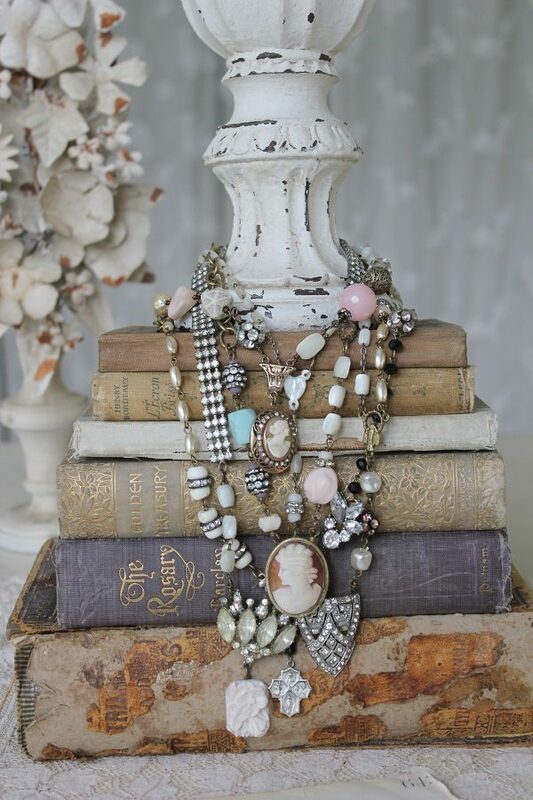 What better way to display some antique jewelry? If you have floor to ceiling books, might as well make good use of your space and make them into a room divider. This one is particularly breathtaking. The back of a staircase is an often overlooked space. Not this one! 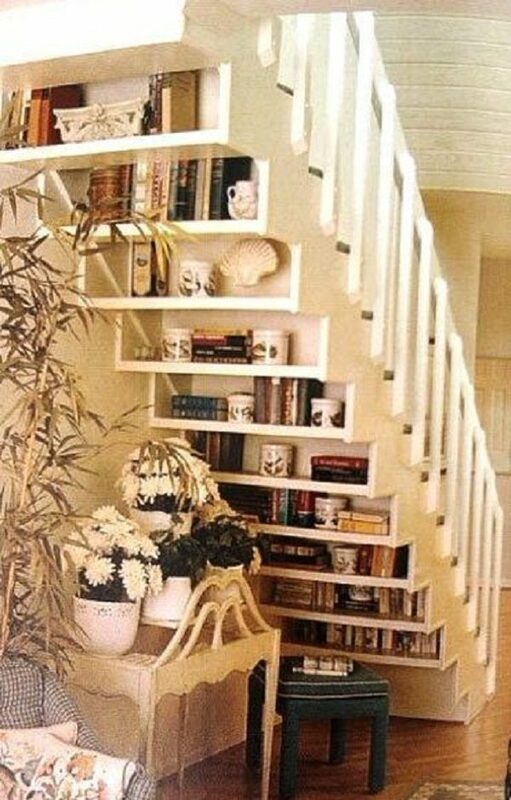 It’s utilizing great space and doubles as an eye-catching bookcase. 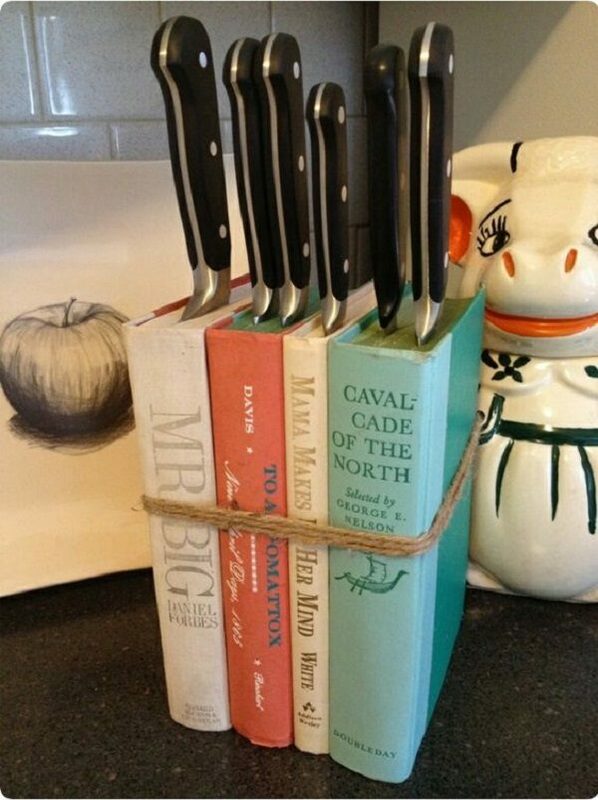 I would never have envisioned a knife block made of books. This bigodino.it find looks fairly easy to make and is a stunning addition to a book lover’s kitchen. This table lamp would be great for an office desk or nightstand. DIY instructions are on the Pontos & Linhas website. The website is written in Spanish, but with Google Translate, I was able to read them. 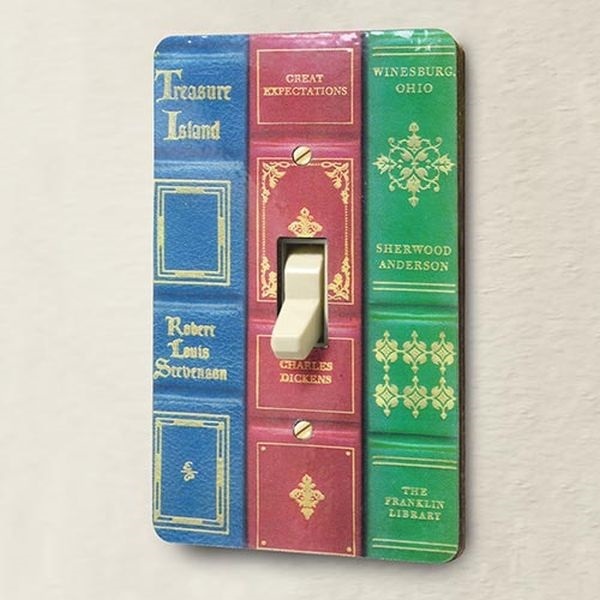 This would be a great switch plate to use for a home library or office. The website I pulled this beauty from says to use book spines, but pictures of books could work, too. 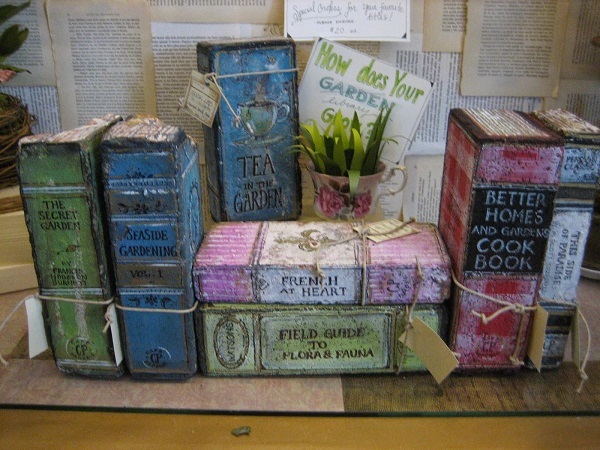 A home garden is a fantastic way to relax and unwind, just like reading a book. Why not combine the two? These bricks made to look like books bring together the outdoors and your unequivocal passion for reading. The book decor world is waiting for you. Which one would you like to implement in your home?